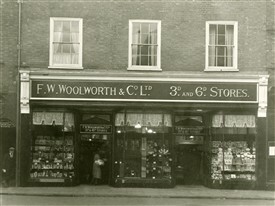 Woolworth’s 3d and 6d stores came to Newark in 1932 to great acclamation and anticipation! The Newark Advertiser reported that ‘the interior will be 32ft wide and 156ft long – making a room nearly twice the size of the town hall ballroom’. The shop finally closed in 1984 – much missed. 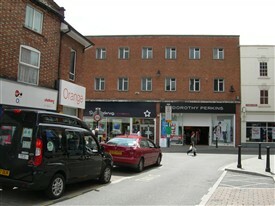 Despite the brief presence of 'Woolies' on Northgate, the memory of the older store, with its smell of sawdust, ham and 'pick-and-mix' will remain with the more mature Newarkers! Including the 'Pick & Mix'. This page was added by Jill Campbell, Nalhs Newark on 15/12/2010.